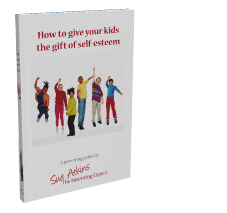 Success in parenting, which for me means bringing up happy, confident, well rounded adults who are independent, resilient and fulfilled, is really no different from being successful in any other aspect of life. It’s about mindset, commitment, and confidence and all about taking small steps of action every day, every week and every month towards being the best parent you can be regardless of your bank balance or background. It’s easy to see that whether we’re fat or thin is generally a matter of our habits. People who consistently exercise and eat well are fit; people who consistently overeat get fat. It can be a bit harder to see more abstract qualities such as parenting as determined by our habitual actions but whether we’re rich or poor, anxious or peaceful, happy or miserable is all determined by our consistent decisions, those small choices we make every day about what we will focus on, how we will interpret our experiences, and where we will channel our time and energy. “It’s not what we do once in a while that counts, but our consistent actions. What ultimately determines who we become and where we go in life? The answer is our decisions. It’s in these moments that our destiny is shaped. What new commitment will you make towards becoming a better parent? Will you commit to spending more time with your children, playing with them, listening to them, helping them with homework or reading to them last thing at night, or will you commit to putting in new boundaries around your kids that are firm, fair and consistent so they learn to feel safe, secure and able to control their own behaviour later on? Whatever you decide it’s not about me telling you what to focus on – it’s all about you deciding what you want to improve, fine tune or change. We all have 84,600 minutes in a day so it’s all about how you CHOOSE to spend those minutes that matter. Read my article on time management by clicking=> How do you spend your 84,600 minutes? It’s not about beating yourself up about what you get wrong – it’s about creating new habits, which over time will make a big difference to you, your children and to your family happiness long term. So post up here on the comment box what small thing you are committed to doing, just for this week, as it will help you feel comitted, supported and more confident.